Chile has said it will host the next meeting between the Colombian government and the country's last major rebel army. The announcement comes as Ecuador suspended its role as a mediator in the 14-month-old peace talks. "I have asked our foreign minister that she stop these conversations and our role as a guarantor of the peace process until the ELN promises to end these terrorist activities. If they continue with these type of activities we won't (continue as a peace mediator)." Quito and Bogota have been at odds over who is to blame for a wave of attacks on military targets in Ecuador and the kidnapping of three journalists by a rogue unit of the demobilized FARC rebel group. 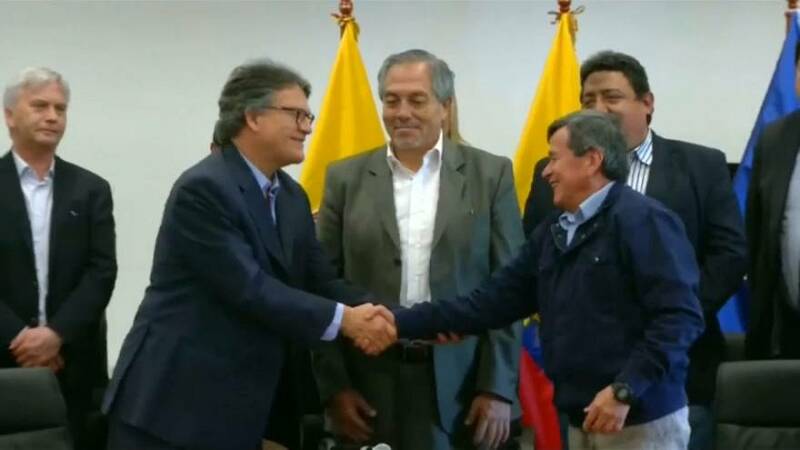 Colombia started negotiations with the ELN after reaching an accord with the FARC in 2016. But talks have been fraught and a temporary ceasefire between the two sides expired in January without being renewed. The ELN was started in the 1960s by radical Catholic priests inspired by Fidel Castro's Cuban revolution. The group has less than 2,000 fighters but its diffuse command structure makes it harder for leaders to control the actions of its soldiers.